Three years ago, I got my first Kindle and I almost immediately loaded a whole bunch of classic novels onto it. One of those novels was Virginia Woolf’s Mrs. Dalloway. I’d just finished reading To The Lighthouse, and I really wanted to read more Woolf. But on Saturday night (well, morning) at around 2 AM, something changed. I read the next thousand words. And the next thousand. And I got about a tenth of the way through the book and I became really excited by it. There was something in it that wasn’t just interesting; it was intensely gripping. I read it in about four hours on Saturday afternoon and late night. And it really was one of the most purely pleasurable reading experiences in my life. Even though I was tired and someone headachy and not my best self at all, I was totally absorbed in the novel. For those who don’t know, it’s the story of one day in the life of a Clarissa Dalloway, the wife of a member of Parliament. She walks around town a bit, talks to a bunch of people, then gives a party. Of course, the novel doesn’t stay with her: it zips into the heads of her husband, a former lover, and a random shell-shocked WWI veteran. It has no chapters and not even that many section breaks, it’s just one long stream. And it’s perfect. Like, you know when you read a short story and you think, “Everything fits up exactly right” and you know that there is no way the author could’ve managed to hold all those threads for even a thousand more words? Well, Mrs. Dalloway is 70,000 words of that! On a sentence level, it’s a joy to read. The mechanics of the novel are brilliant. Woolf eschews all the technology of action: the walking around, the doing things, the opening doors and getting into carriages. Basically, you know what the characters are doing by what they see. If they see something different, then you know they’re walking down the street. If they see the inside of a house, then you know they’ve gone inside. It’s so subtle and so intuitive. It actually feels much more natural than the standard way of doing things: you feel like you’re inside the protagonists’ heads. Everything in the novel is so vivid and so heightened. At times, I was almost resentful towards the characters: they felt so much more alive and so much more interesting than I am. I wanted to live my life on the level that they were living theirs. They feel things so deeply. An aeroplane passing overhead is a mystical moment. A motorcar stopping in front of a store is a majestic occurrence. It really didn’t have any dull bits. Every page had its pleasures. Every page had something startling and fascinating. At times, the novel felt like it was touching upon every possible theme: art, religion, war, aging, youth, mental illness, happiness, politics, social stratification, career success, colonialism, feminism, everything! Although it is primarily told through the eyes of this very narrow set of very upper-class people, there are so many characters who walk on for just a moment. And even if they have just a few pages, they feel like people. Like at one point, we spent just a thousand words in the head of Miss Kilham, who is the tutor of Mrs. Dalloway’s daughter. Kilham is very religious and very politically radical, and she desperately wants the daughter to like her. There’s something so palpable about her desperation, but also something very heroic about her. Reading it was like being a kid again, and reading without any kind of agenda or expected outcome, just for the pure pleasure of tooling around between the lines of the page. Honestly, I am a little astonished that books still have the power to affect me in that way. You know, I’ve often wondered whether modernism was a solution that was in search of a problem. To me, all these new narrative techniques and advanced plotlessness didn’t necessarily seem to offer a better reading experience than Tolstoy or Chekhov. Now I am a convert. Mrs. Dalloway definitely gave me a type of involvement and a type of pleasure that I’ve never gotten from a conventionally-structured novel. P.S. Also, yay for lesbian subplots! Every time someone is like, “Oh, of course [some novel] had to be coy about the homosexuality, because it was published in the fifties or in the sixties,” I think about 1920s novelists like Woolf and Proust who were being pretty darned explicit about it. The lesbian subplots were the absolutely best part of Mrs. Dalloway, and they unfold in such a clear way. Mrs. Dalloway is lying in bed (she sleeps separately from her husband), and she’s basically thinking about how she could never please him in bed, because she lacked a certain kind of passion, and then she immediately starts thinking about her childhood friend and how her love for that friend was similar to what a man’s would’ve been. 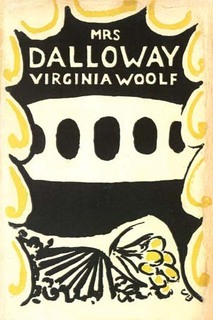 It’s just an aspect of the story, obviously, and Dalloway’s lack of sexual fulfillment isn’t played up as a huge tragedy (the way it would be in a modern novel), but I thought it was nonetheless super interesting. Definitely going to give this another try! I always remember that she bought the flowers herself but couldn’t get into the rest of the book. It’s also okay to wait until the moment and time when it sings to you. If I’d forced myself to read it six months ago, I am pretty sure I would not have liked it nearly as much.